I'm delving into the past for blog posts, as I'm feeling very uninspired lately. 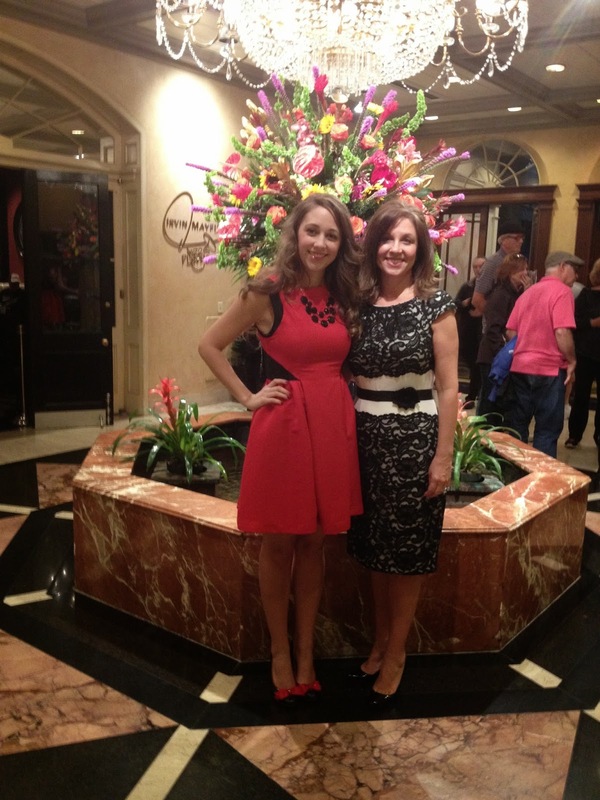 So, now is the perfect time to blog about my trip to New Orleans! I spent a lot of time in New Orleans growing up, as my grandparents were living there and we made the short flight from Dallas to see them several times a year. I have always loved the city, but I hadn't been back since my grandparents moved when I was in the third grade, just a few months before Katrina, save for a cruise we took out of New Orleans a couple years ago, but we were only there for a few hours after we docked. So, this was my first real trip back to NOLA in almost ten years. The purpose of my weekend jaunt was to attend the wedding of a family friend. Her parents are very good friends with my grandparents, and actually lived across the street from them. Although she's a few years older we spent a lot of time together when I was younger. So, when we received the invitation for her wedding, I knew I wanted to go. I'll always take an excuse to travel! My mom, grandmother, and I all met up in Dallas, then flew to New Orleans the next day (LGA to DFW, DFW to NOLA, NOLA to DFW, and DFW to LGA all in 5 days!). We checked into our hotel on Bourbon, where the reception would be held, and immediately had to get ready for the rehearsal dinner. Dress, Prabal Gurung for Target. Shoes, Betsey Johnson. Necklace, Sam Moon. I didn't get any pictures of the dinner, but it was held at a fabulous French restaurant in the quarter, where I was served a full plate of crème brûlée for desert! If your'e wondering how I could get away with no tights and short sleeves in November, it's because NOLA was still hovering around 75 degrees at night. Much, much better than New York at the time. Saturday was for exploring, as we had plenty of time to kill before the ceremony and reception. First stop, of course, was breakfast and beignets. The famous Cafe du Monde was PACKED as usual, but we found a more delicious and significantly less crowded beignet spot down the street. New Orleans Famous Beignets and Cafe, check it out if you're ever in the city! Part 2 featuring the wedding will come tomorrow, stay tuned and laissez les bon temps rouler! !